In the comments on Raine English’s post on new beginnings, Helen Scott Taylor recently mentioned second chance romances as a favorite of hers, and I commented that I don’t read them as often as I do strangers meeting. To me, second chances make me look back in my own past and think about meeting one of my past loves again. My feeling on that is there’s a reason they are in my past! I know I’m not in the majority on that, and that’s what I love about reading romance. We have choices. First love, second chances, friends to lovers, matchmaking gone awry…there is something for everyone, isn’t there? It’s apparent I think in terms of my own life when reading. What about you? Do you find yourself choosing books by how they relate to your life? If you married your childhood sweetheart, are first-love stories your favorite? If you’re still single or single again, do you gravitate toward older heroines or second chances? Aileen Fish is the author of the contemporary western series Small Town Sweethearts and Regency historical series The Bridgethorpe Brides. She tends to write about first love, while sneaking in mature romances in the background. 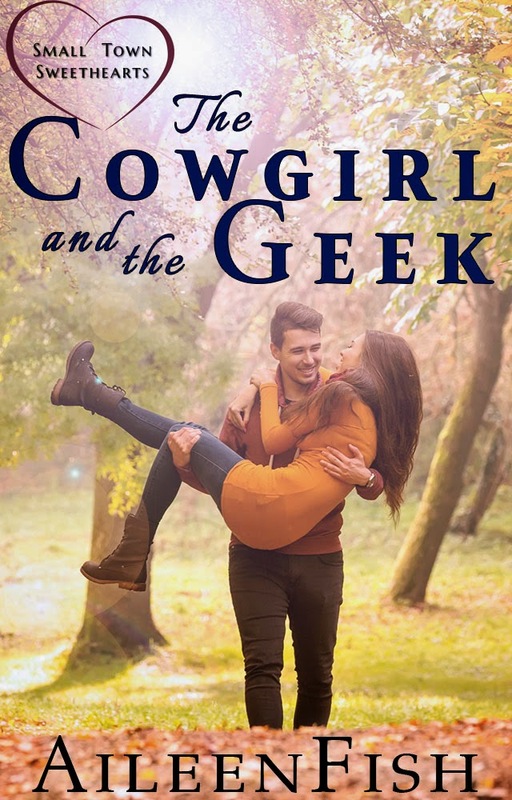 Her upcoming The Cowgirl and the Geek is due out April 1st. When it comes to reading romance novels, I can usually find some aspect in the book to identify with. I might connect with a character trait or attitude of the protagonist. Or I empathize with the protagonist's situation or her past or her inability to trust. I guess I'm lucky to have an imagination that allows me to enjoy any type of romantic story, no matter the theme. I read all types of romances, first meetings, second chances, best friends. It's more important I identify with the characters than when and where they first met. Good post, Aileen. I love old loves and the boy next door stories, but I have a hard time relating to love at first sight. I need a good convincing reason to agree with it. It's fun to see what draws you all to a book. Donna, you make me realize it's probably a connection with the heroine that is pulling me in. It could be where she lives (small town) or who she falls for, or what she does for a living, more than just the trope. I do have favorite tropes, I love the Cinderella type of story and childhood sweethearts reunited. I'm not so keen on some others. I don't find the type of plots I enjoy has much to do with my life. They are just romantic dreams! The older I get, the more I like the mature heroine. Am thinking of authors Jeanne Ray and LaVyrle Spencer who wrote older heroines. I don't have a preference as such, just a good sweet romance that hooks me in although like Helen, Cinderella appeals, esp if she isn't a cliché slim, gorgeous heroine but a plain Jane, maybe even a little tubby. I may have to write that myself cos I don't think I've ever read it. I read any type of romance. For me it's an escape and has nothing to do with my life. As long as the novel is well written, I will enjoy it. Roxanne, I'm horrible about purchasing a book more than once! I try to stick to Kindle to stop me from doing that. Thanks for sharing opinions, everyone! Joanne, definitely write that book!